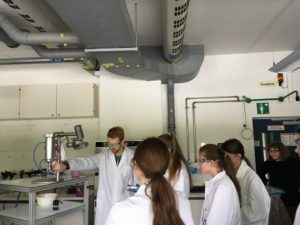 As every year on Girls’Day, several hundred students came to the German Aerospace Center (DLR) to gain an insight into the technical and scientific world of work. The purpose of the day is to arouse interest in MINT subjects (mathematics, computer science, natural sciences and technology) and to get to know the relevant job profiles and to discover the “male professions” for themselves. The DLR program is organized by the team of the DLR_School_Labs. Two groups of about 10 students visited our laboratories on Girls’Day 2018. 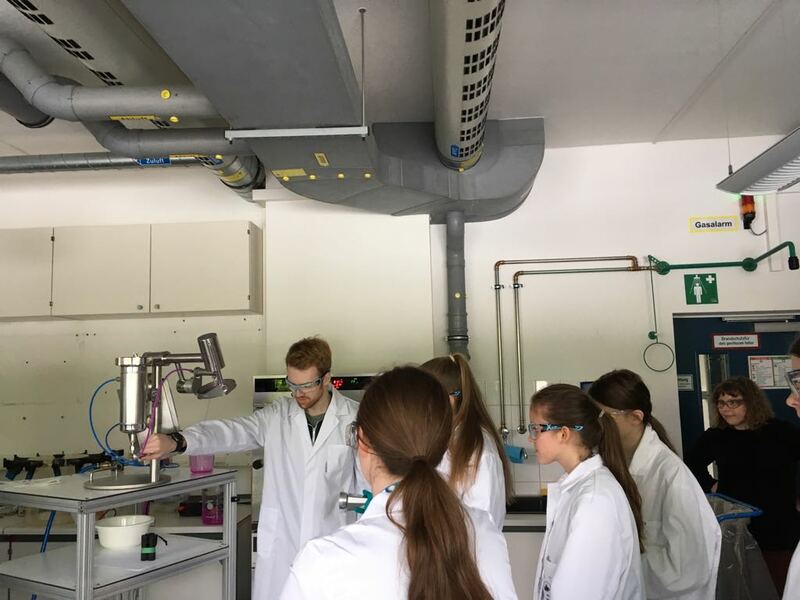 Within two hours, the students had the opportunity to get to know aerogels and to do some small experiments by themselves. After a brief introduction, they were able to make their own hydrogels, the precursor of an airgel, via a “dump-bulk” experiment by combining dilute acetic acid with water glass. 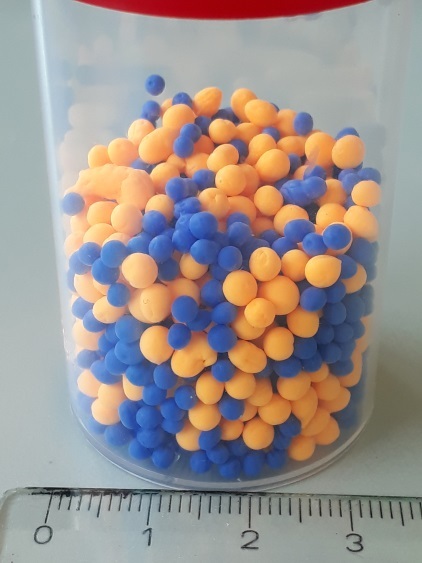 To identify the volume, the weight of the samples were first determined on a laboratory balance and afterwards the volume was determined both geometrically and with an instrumental method (GeoPyc from Micromeritics). Next, the respective densities were compared with each other. In the chemistry laboratory, pink-colored gel balls based on alginates were produced on the jet cutter. At the end of the day, each student was invited to take home a small sample of colorful airgel balls. Thanks to the new impressions and practical experience, we have succeeded in bringing natural and engineering sciences closer to the even previously rather skeptical students and arousing their interest in dealing more with them in the future.